Drostanolone (trade names Masteron, Drolban, Metormon, Permastril, etc.) is an anabolic steroid which is available as esters propionate and enanthate. Has a high androgenic activity and moderate anabolic effect. It does not aromatize in the body (that is, does not convert into estrogens), on the contrary it is an aromatase inhibitor. Drostanolone is similar in biological effect to dihydrotestosterone. Drostanolone propionate is widely used by athletes in bodybuilding, to preserve muscle mass and strength during the cycles of “drying.” Drostanolone is often used by runners and athletes who seek to maintain the weight category (without increasing body weight). Drostanolone propionate can be called a “safe” form of testosterone, which lacks many of the deficiencies of the older brother while preserving some of the advantages of androgens. Already after several punctures of the course of the masteron the user will necessarily feel a pronounced anabolic effect, that is, an increase in muscle mass. Drostanolone propionate (Masteron), as well as testosterone, affects the nervous system, relieving the feeling of fatigue and raising the general tone and mood, “morale”. The masteron’s course, unlike the test, is not a universal, basic steroid. 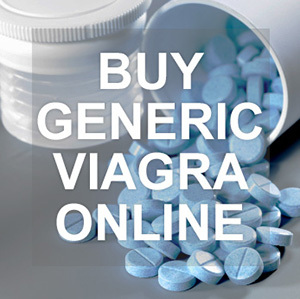 This is a highly specialized drug, designed to solve specific and very monotonous tasks. As a result of the fact that drostanolone propionate is not aromatized in almost any dosage and is not converted into estrogens, it will not be replaced in the precompetitive training of bodybuilders. Masteron is able to give the muscles a rigid, “filled”, elastic, firm, finished appearance and maximum sharpness of outlines; Emphasizes the strong places of the athlete, masks the weak. The skin becomes thin, the veins come out, the separation of the dried meat reaches an ideal condition, even the buttocks split. Naturally, drostanolone can not provide such a result alone, so it is usually used in various combinations with other AS. The recommended dose of the drug is 300-500 mg / in 7 days, usually on the third day, or one through one. Duration of the course is 6-10 weeks. Usually combined with nandrolone decanoate or boldenone with undesilinate, this affects the increase in muscle mass, while not excessively retaining water. In order to recruit mass, it is combined with injectable testosterone, this affects the increase in muscle mass without the excess “water” that would accumulate if taken with other drugs. Drostanolone is also used for “drying” purposes. It is combined with other non-aromatizing drugs, for example, stanozolol, primobolan, trenbolone or oxandrolon, and this helps to keep the muscles on a diet and strum.